1) Or, a cross crosslet sa. Crest—A lion guard sejant on its hind legs holding in its dexter paw a cross and resting its sinister on a pyramid sa. 2) (Unerigg Hall, co. Cumberland, descended from the ancient family of M’Christen, of the Isle of Man, who for several generations have been dempsters or judges of that island; the name appears to have been first written Christian about the year 1600). Az. a chev. humettee betw. three covered cups or. Crest—A unicorn’s head erased ar. collared and armed or. 3) Ar. a chev. betw. three crosses crosslet gu. Crest: The figure of Hope ppr. habited in a robe ar. leaning on an anchor or. The following is an excerpt from is from Manx Families, A.W.Moore, MS 1889 by A.W. Moore: “A family of Scandinavian origin, the MacCristens, or Christins, or, as they now call themselves, Christians, must have attained an important position in the Isle of Mann at an early date, as John McCristen, the first of whom there is any record, was one of the Judges or Deemsters in 1408 and a Member of the Tynwald Court in 1422. Of his three successors, who also bore the name of John, the first was seated at Altadale, in the Parish of Lezayre; the second was Deemster, from 1500-1510, and the third was also Deemster from 1511-1535. This later acquired the property adjoining Altadale and called the whole Milntown“. The last name Christian ranks 2,977th in popularity worldwide as of the 2014 Census and approximately 190,210 people carry the Christian surname worldwide. The name ranks particularly high in the following six states: Texas, California, Georgia, Florida, Virginia, and New York. It ranks highest in the following countries: United States (65,763), Nigeria (28,582), Tanzania (23,719), Indonesia (11,029), Madgascar (8,144), Rwanda (7,132), England (5,879). Jordan fil. Cristine, Kent, 1273. Hundred Rolls. Agnes fil. Cristine, Cambridgeshire, ibid. Cristiane Lyttester, 1379: Poll Tax of Yorkshire. Crstiana atte Tounead, 1379: ibid. Married — Edward Christean and Elizabeth Huggins: St. Peter, Cornhill 1656. Henry Bailey Christian of Ronaldsway, and Kragga Kama, Port Elizabeth, Cape Colony, J.P., born August 26, 1823 married July 18, 1852 to Mary Anne the second daughter of John Owen Smith, by Elizabeth Gilbert his wife and has issue 1) Owen Smith born October 20, 1857 married April 7, 1888 to Constance M. Kingsmill and has issue a) Jack Owen born July 20, 1890 b) Mary Owen born February 20, 1889. 2) Ewan born May 21, 1861 married December 7, 1887 to Ethel Holland 3) Henry Courtney born May 6, 1865 4) Harold Basil born October 28, 1870 5) Ada Sophia Searight born November 30, 1855 6) Maude Elizabeth born September 11, 1859 married March 31, 1891 to William Henry Soloman 7) Mary Aletta Badnall born April 12, 1862 8) Hilda Owen born February 19, 1873. Lineage ~ This family descends from the Christians of Milntown, in the Isle of Man, which estate was acquired in 1511 and was prior to 1422, established in Wigtownshire, Scotland. The first who settled at Ewanrigg was Ewan Christian of Milntown, made deemster of the Isle of Man 1605, and grandson of William McChristen of Milntown, seventh in lineal descent from William McChristen a member of the House of Keys 1422. He had a son, John Christian of Milntown living 1643 married Margaret the daughter of John Parker of Bradkirk, County, Lancaster who had a son, Edward Christian of Milntown, deemster of the Isle of Man married Dorothy the sister of Edward Wilson of Dallam Tower and had a son, Ewan Christian of Milntown, who purchased the estate of Ewanrigg, barrister-at-law, married 1677, Mary the eldest daughter of John Caine and dying 1779 left with other issue an eldest son, John Christian, ancestor of the Christians of Ewanrigg and Milntown and a third son, Rev. Thomas Christian, vicar of Crosthwaite, County, Cumberland, 1770, who had with other issue a third son, Joseph Christian born 1748, married Margaret the daughter of Wattleworth, and died 1829 having by her (who died 1825, both buried at Mortlake) had a son, Ewan Christian of Cape Town born March 25, 1784 married August 6, 1818, to Aletta the daughter of Lieutenant D. Schultz of the Dutch Artillery and by her (who died March 31, 1882 and was buried at Cape Town) had issue, 1) Henry Bailey of Ronaldsway and Kragga Kama 2) Ewan Joseph who died young 3) George Bellamy married Alice Owen the daughter of Smith, and has issue fours sons and two daughters. 4) Ewan Robertson died without issue 1878 5) Edward Okes died without issue 1861 6) Maria married Henry Shaw and has issue four sons and five daughters 7) Emma Caroline died young 8) Antoinette died young 9) Agnes Arnold Edmonds 10) Jane Blamire married Commander Robert Heron Burton, R.N. and has issue 11) Emma married Robert Kindersley and died 1874 leaving issue 12) Mary Margaret married John Blades Cuney and has issue fours sons and six daughters. Mr. E. Christian died July 5, 1869. Arms~ Azure a chevron humellee between three covered cups or. Crest ~ A unicorn’s head erased argent and gorged with a collar invected or. Motto ~ Salum per Christum. Rev. William Bell Christian, B.A., of Ewanrigg Hall, Cumberland, and Milntown, Isle of Man, J.P., Member of the House of Keys born August 17, 1815 married June 1, 1840 to Charlotte Elizabeth the daughter of Thomas Brine, Esq. of the Isle of Man, and by her (who died 1862) had issue 1) Ewan John born May 10, 1845 2) Malcolm William born February 5, 1850 3) Annie Louisa married September 3, 1867 to Rev. Frank Houssemayne Du Boulay, Rector of Heddington, Wilts. 4) Isabella Susan died July 11, 1863 5) Julia Elizabeth 6) Bertha Mabel 7) Emmie Ida. He married 2nd January 5, 1864 to Emma Mary Houssemayne the daughter of the late Rev. James Thomas Houssemayne Du Boulay, Rector of Heddington Wilts, and by her (who died December 19, 1864) had issue, Emma Ida Houssemayne. He married 3rd June 18, 1867, Maria Bowes the elder daughter of the late Col. Charles C. Johnson of Argenteuil, Canada East and the granddaughter of of the late Sir John Johnson, Bart., and of Sir Edward Griffith Colpoys, K.C.B. Mr. Christian succeeded his brother 1859. 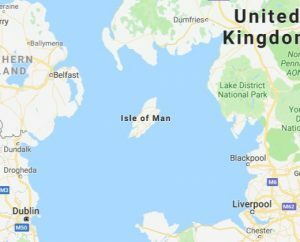 Lineage ~ The first ancestor of the family on record was a member of the House of Keys, in the Isle of Man, at the Tyndwald Court held in that island 1422. The first who settled at Ewanrigg was, Ewan Christian, Esq. of Milntown, Barrister-at-law, the eldest son of Edward Christian, Esq. of Milntown, Dempster for the Isle of Man, by Dorothy his wife, sister of Edward Wilson, Esq. of Dallam Tower, and grandson, by Margaret his wife, daughter of John Parker, Esq. of Bradkirk, County, Lancaster of John Christian, Esq. of Milntown living 1643, who was the son of Ewan Christian, Esq. of Milntown made Demester of the Isle of Man 1605, and grandson of William McChristen of Milntown, 7th in lineal descent from William McChristen, a member of the House of Keys 1422. Ewan Christian (the first settler at Ewanrigg) married Mary the eldest daughter of John Caine, Esq. and dying 1719 was succeeded by his eldest surviving son, John Christian, Esq. of Milntown and Ewanrigg born 1688 married May 14, 1717 to Bridget the eldest daughter of Humphrey Senhouse, Esq. of Nether Hall of Ellenborough, Cumberland and by her (who died 1749) had seven sons and four daughters of the latter Mary married Edward Law, Bishop of Carlissle and was mother of Edward Law, Baron Ellenborough. Mr. Christian died September 20, 1745 and was succeeded by his son, John Christian, Esq. of Milntown and Ewanrigg Hall, born October 5, 1719, High Sheriff of Cumberland 1766, married Jane the eldest daughter of Eldred Curwen, Esq. 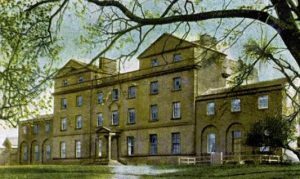 of Workington Hall, Cumberland and by her (who died 1762) had two sons and six daughters, 1) John his heir 2) Henry born 1761 3) Bridget 4) Julia married 1769 Edward Stanley, Esq. of Workington 5) Jane married W. Blamire, Esq. 6) Frances married Edward Christian, Esq. of Brancaster, Norfolk 7) Dorothy married 1774 John Taubaman, Esq. of Nunnery, Isle of Man 8) Mary. He died 1757 and was succeeded by his eldest son, John Christian, Esq. of Milntown and Ewanrigg Hall, married 1st September 10, 1775 to Margaret the daughter of John Taubman, Esq. of the Isle of Man, and by her (who died 1778) had one son, John, his heir of Ewanrigg. He married 2nd October 5, 1782, Isabella the daughter and sole heir of Henry Curwen, Esq., M.P. of Workington Hall, Cumberland and had by her four sons and three daughters. 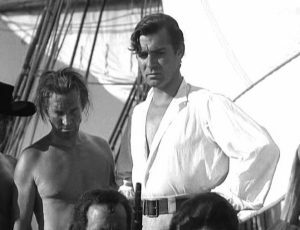 Mr. Christian, who was for many years M.P. for Cumberland, assumed the surname of Curwen. He died December 13, 1829, when he was succeeded by his son by his 1st marriage, John Christian, Esq. M.A., of Ewanrigg Hall, Cumberland and Milntown, Isle of Man, Barrister-at-law, J.P. and Chief Judge of the Isle of Man born July 12, 1776; married April 23, 1807 to Susanna the daugther of Lewis Robert Allen, Esq. of Bath and by her (who died March 1853) had issue 1) John Allen born February 28, 1809 died unmarried June 3, 1828. 2) Henry Taurman, late of Ewanrigg 3) Robert born August 30, 1812; died 1813 4) William Bell now of Ewanrigg 5) Charles Carik born March 28, 1821 died 1828 6) Susan Curwen married Sir Augustus William Hillary, Bart. 7) Margaret married Thomas Underwood, Esq. M.D. 8) Isabella Anne married Rev. Herbert Taylor Howes, M.A. 9) Louisa Dorothy married Rev. John William Molyneux, M.A. Mr. Christian died February 27, 1857 and was succeeded by his eldest surviving son, Henry Taubman Christian, Esq. of Ewanrigg born January 29, 1810 who dying without issue 1859 was succeeded by his next surviving brother the present Rev. William Bell Christian, now of Ewanrigg. Arms~ Azure a chevron humellee between three covered cups or. Crest ~ A unicorn’s head erased argent and gorged with a collar invected or. Motto ~ Salum per Christum. CHRISTIAN, Privy Councillor (Irel.). Creat. 1867. Right Hon. Jonathan Christian, son of the late George Christian, Esq., solicitor, of Dublin, by Margaret, daughter of Cormick, Esq. Born at Carrick-on-Suir, Tipperary, 1811; mar. 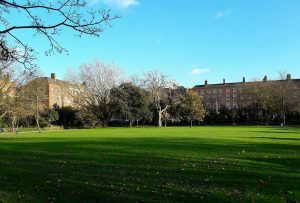 1859, Mary, daughter of T. E. Thomas, Esq., late of Newtown Park, co. Dublin ; educated at Trinity College, Dublin; called to the bar in Ireland 1834 ; made a Queen’s counsel in 1846, Queen’s serjeant 1851, solicitor- general for Ireland 1856; 4th justice of the court of common pleas in Ireland 1858; lord-justice of the court of appeal in Ireland 1867, on which last occasion he was added to the Privy Council in Ireland. Residence— 35, Merrion Square South, Dublin. Owing to the destruction of the New Kent county records, and the partial destruction of the Charles City county records it is difficult to connect this family with any of the English families of the same name in the Isle of Man and other places. Investigations in British wills and other records on the other side of the ocean may some day supply the loss. We know that the Virginia progenitor of the family was (1) Thomas Christian. As (1) Mr Thomas Christian he patented October 21, 1687, 1080 acres in Charles City county. While the family did not assume in the eighteenth century the important position it has enjoyed in the nineteenth; the term Mr., accorded to the immigrant, is indicative of social standing. In 1694 (1) Thomas Christian Sr. got a patent for 193 acres south of Chickahominy Swamp. Then we find (2) Thomas Christian of Charles City county, patenting land (1712 and 1727) in the forks of Beaver Dam Creek in that part of Henrico called Goochland. 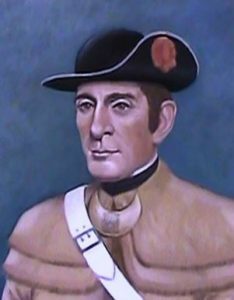 (3) Charles Christian of Charles City locating lands in the same vicinity. (4) James Christian in the same vicinity bounding on Thomas Christian’s line (1719). (5) John Christian of Charles City within in the same vicinity (1724). All of this furnishes strong presumptive evidence, in the absence of any other Christians mentioned in the records of Charles City and New Kent that (2) Thomas, (3) Charles, (4) James and (5) John were sons of (1) Thomas Christian Sr., the immigrant. (2) Thomas Christians will was proved in Goochland county in 1736. He married Rebecca (perhaps the daughter of Drury Stith, near whom, in Charles City, Thomas Christian patented 1320 acres on Dec. 16, 1714) and had issue (6) Thomas (7) Robert (8) William of Albemarle county, living in 1756 (9) James (10) Constant (11) Rebecca (12) Ann (13) Mourning who married __Coleman. The will also mentions a grandson Thomas. (6) Thomas Christian. His will is recorded in Goochland county is dated October 23, 1743 and was proved March 20, 1743-44. He married Rebecca ___, and had issue (14) Anthony born June 9, 1724 (St. Peter’s Parish Register), not mentioned in the will, but in a deed as ‘son & heir’ and as residing in Cumberland county in 1753 (Goochland county records); (15) Nathaniel (16) Thomas (17) Jesse (18) David (19) Lins (20) Archer (21) Mary (22) Susannah (23) Elizabeth. Thomas had property on Willis’ Creek. (7) Robert (Thomas, Thomas) lived in Albemarle county, which was cut out of Goochland. His will proved at May court, 1749, mentions wife Lucy, sister of William Bradley and issue (24) John (25) Robert (26) Drury (27) Lucy (28) Elizabeth. (26) Drury Christian of Goochland county married Lucy Williams and had issue (29) James born April 30, 1758 (30) Gideon born August 16, 1760 (31) Ann born March 3, 1764 (32) Drury born August 18, 1766. (Register of Births, etc. kept by Rev. Wm. Douglas). (8) William (Thomas, Thomas). In 1756 he sold land in Goochland county given him by his father (2) Thomas Christian deceased. He styles himself of Albemarle county. (9) James (Thomas, Thomas). Will dated May 18, 1752, and proved in Goochland county, June 16, 1759. His wife Susannah, and James Christian exors. They had issue (33) Charles who died before 1761 (34) James died before 1794 (35) John of Buckingham county married Joyce __, and was living in 1805 (36) George who died about 1784-85. (36) George (James, Thomas, Thomas) married and had issue (37) James, (38) Elizabeth (39) Charles (40) Sally. (3) Charles Christian Sr. (Thomas), of Westover Parish, Charles City, County, obtained numerous patents in Goochland. There is a record there of his deed of gift to Stephen Watkins of Amelia county, and his deed to (41) Charles Christian, Jr. of Goochland in 1754. (41) Charles Christian was perhaps the son of Charles Christian, of Westover Parish. His will was proved in Goochland county February 16, 1784 and mentions sons (42) William (43) Walter (44) George (45) Charles (46) John who married Judith Leek on May 9, 1771 (47) Elijah (48) Turner who married Anna the daughter of George Payne in June 1778 (49) Elizabeth who married John Humber of St. Paul’s Parish (50) Mary who married James Gishom (Grason) Dec. 19, 1770 (51) Judith who married Benjamin Lacy on Oct. 25, 1774 (52) Mourning. He left land in Amelia county to son William. (4) James Christian (Thomas) of the parish of St. Peter’s, New Kent, had issue (53) Judith who was baptized May 21, 1711. He married Amy (perhaps a daughter of Gideon Macon of New Kent) and had also (54) Gideon born Feb. 5, 1727-28. There is on record a deed 1756 from Gideon Christon of Charles City county for 368 acres in Goochland, patented by James Christian March 11, 1711 and devised by said James to his son Gideon (55) Richard of Charles City (56) Joel of Charles City (57) William formerly of Goochland (58) James of St. Peter’s Parish, New Kent. (54) Gideon Christian married Susan the daughter of Wm. Browne of James City, and Alice Eaton. The had issue (59) Eaton (60) Francis (61) Patrick (62) William Allen (63) Anne (64) Alice (65) Fanny. (55) Richard Christian had issue (66) Samuel (67) Richard (68) Benjamin (69) Isahm. (58) James Christian who married Tabitha had issue (70) Joseph Christian born Sept. 4, 1757. (5) John (Thomas). He appears to have died prior to 1768 and left a son and a daughter (71) John living in New Kent in 1773 (72) Mary born Oct. 8, 1735. Solus per Christum. Salvation through Christ. CHRISTIAN. Virginia. Thomas Christian, Charles City, 1687. (Isle of Man.) Azure, a chevron humettee between three covered cups or. CREST—A unicorn’s head erased argent collared and armed or. MOTTO—Salus per Christum.